The Board of Oslo Børs wants NasdaqOMX as major shareholder, according to Norwegian Television, Dagsrevyen. 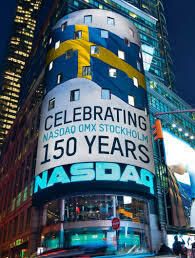 Nasdaq OM X owns the stock exchanges in Stockholm.Copenhagen and Helsinki. 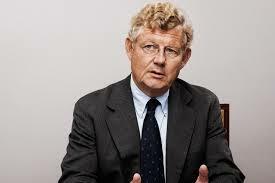 Chairman of the Board in Investor AB, JacobWallenberg jr. Is a Board Member in Nasqac OMX. Nasdaq made an Offerto Acquire Oslo Børs VPS with Unanimous Support from Oslo Børs VPSBoard of Directors in january. Cash offer to acquire all issued and outstanding shares in Oslo Børs VPS Holding ASA to be made by Nasdaq AB. Board of Directors and executive management team have unanimously decided to recommend that its shareholders accept the Offer and do not accept the offers from Euronext. Nasdaq AB received irrevocable pre-acceptances of the Offer from shareholders representing 35.11% of the total shares of Oslo Børs VPS. 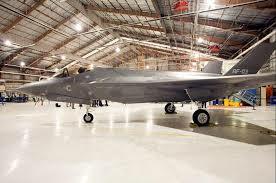 Pre-accepting shareholders include Oslo Børs VPS’ two largest shareholders (DNB and KLP).The proposed transaction is expected to achieve Nasdaq’s stated ROIC target of at least 10% within 3-5 years, and be accretive to non-GAAP EPS within 12 months of closing . The transaction is consistent with Nasdaq’s existing capital deployment priorities including its organic business investment, shareholder capital return and leverage objectives Oslo, Norway and Stockholm, Sweden, Jan. 30, 2019. Nasdaq AB, an indirect subsidiary of Nasdaq Inc. (Nasdaq: NDAQ) (“Nasdaq”), announced today that it will make a public offer to acquire all of the issued shares of Oslo Børs VPS Holding ASA (NOTC: OSLO/OTCMKTS: OSBHF) (“Oslo Børs VPS”) at NOK 152 per share (the “Offer”). 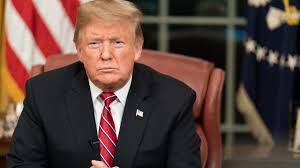 The formal Offer will be made pursuant to an offer document (the “Offer Document”), which is expected to be published on or around 4 February 2019. Based on an overall evaluation of the factors considered relevant, the Board of Directors of Oslo Børs VPS considers that the Offer is the best alternative for all stakeholders (including shareholders, issuers, investors, banks and investment banks operating in the Norwegian capital market) and therefore unanimously recommends that the shareholders of Oslo Børs VPS accept the Offer and do not accept the offer to acquire the shares of Oslo Børs VPS made by Euronext NV (the «Euronext Offer»). The key features of the Offer include: Nasdaq AB is offering NOK 152 in cash per share in Oslo Børs VPS (the “Offer Price”), plus an interest payment of 6% per annum on the Offer Price, pro-rated per day from 29 January 2019 until the conditions to the Offer have been fulfilled or waived. The Offer Price represents a 5% premium to the price of the offer to acquire the shares of Oslo Børs VPS made by Euronext of NOK 145 per share, excluding the interest payment which Euronext has offered to pay. The Offer Price values the entire issued share capital of Oslo Børs VPS at NOK 6,537 million, or approximately $770 million, and represents a premium of 38% to the undisturbed closing price of the Oslo Børs VPS shares on the NOTC on 17 December 2018.